This year, we have gathered some of our favorite Thanksgiving quotes to share with our readers. Enjoy! 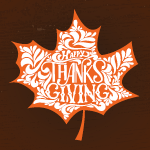 We extend our sincere wishes for a relaxing and meaningful Thanksgiving.